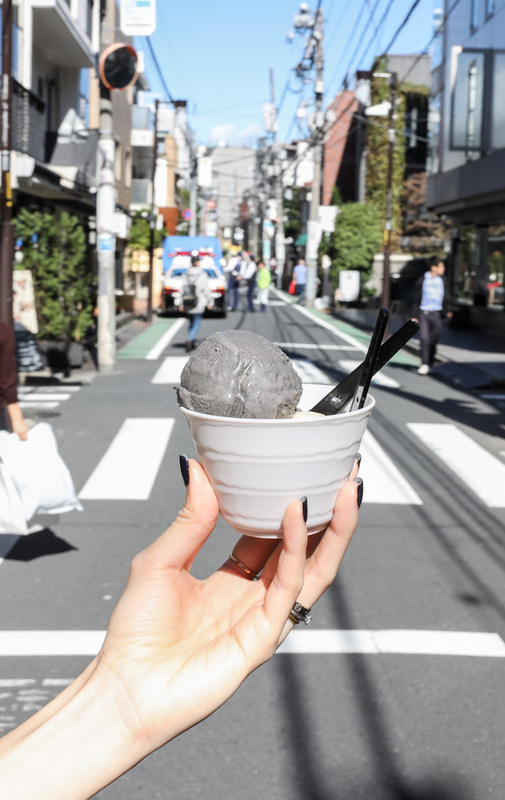 Want to try the world’s richest black sesame ice cream? Then you’d have to head to Tokyo. 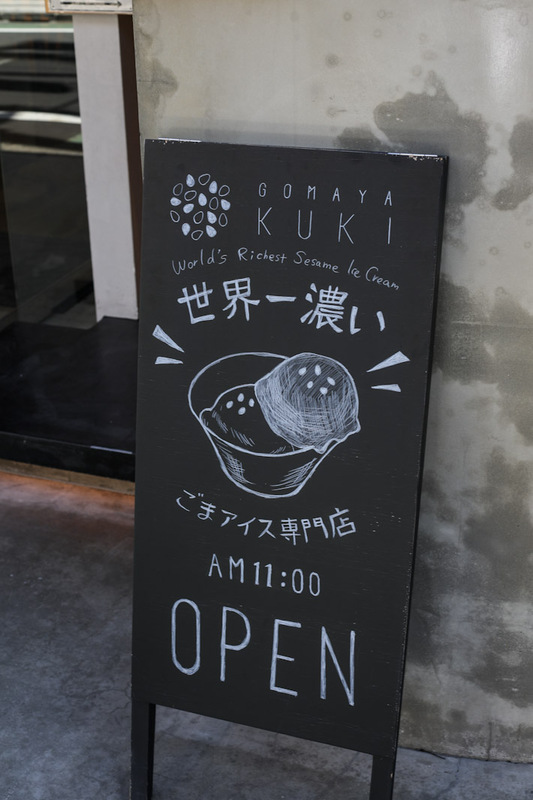 Located in Omotesando, Gomaya Kuki is a takeout-only ice cream store and is home to the best sesame ice cream we’ve ever tasted. It was simply unforgettable and if you haven’t tried, you are really missing out big time. 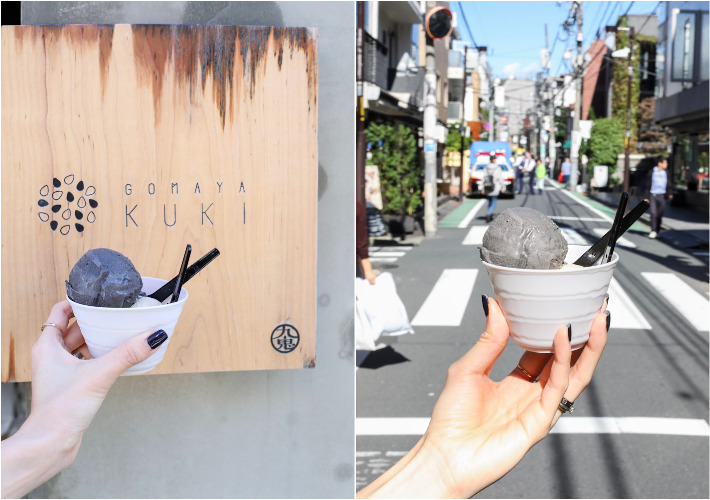 Gomaya Kuki is truly a hidden gem of Tokyo and here’s everything you need to know about their sesame ice cream. Just shy of one year into their opening, Gomaya Kuki has gained a steady following; imagine the number of people who have tasted the best, and you are not one of them yet. There is a saying that if you want to indulge in ice cream but still be healthy, eat sesame ice cream. 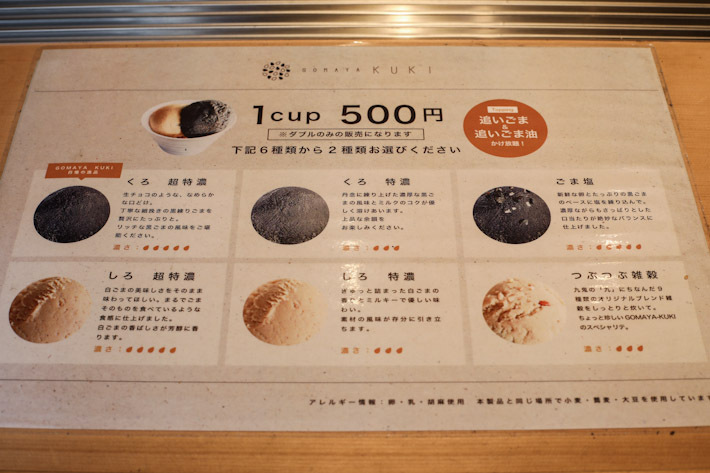 Well, much is to be debated about this, but at least we know that the sesame ice cream sold in Gomaya Kuki uses only high-quality sesame seed from one of the most reputable and famous sesame seed supplier: Kuki Sangyo. You will find both white and black sesame ice cream types on its menu. For the black, there is Super Rich, Rich and Salt Sesame; for the white, there is also Super Rich, Rich and Grain Mixed White Sesame. Well, don’t let yourself be too confused. Just go for the Kuro Super Rich (black) and you are in for the best. It is said that 9,000 sesame seeds are used for one single scoop of this super rich black sesame ice cream, hence giving the nutty-flavoured ice cream its distinct intensity that leaves a subtly sweet aftertaste. Though the white sesame ice cream looks mild, 9,000 white sesame seeds are also used for the Super Rich version and it also boasts a deep flavour. Each cup of ice cream is ¥500 and it will be the best ¥500 you’d ever spend.